2 Independent apartments with the possibility to make them interconnecting in a villa with garden and each with: 3 or 4 people maximum, kitchen, bathroom with shower and bidet. Total number of beds: 6. Possible addition of two cot-bed and / or cot with bars for small children if required. Direct access to the apartments from the garden, away from the external view of the road and a confidential location, breathtaking view. Exclusive use of a portion of the garden. The rest of the garden, the barbecue, and the arcade are shared with other guests of the Villa. Sunny but cool even in the summer, this accomodation is ideal for lovers relax and silence, hiking opportunities in the mountains, beach, boat. Evening entertainment in Lugano (10 km), and a lot of small towns and villages along the shore of the lake or in the hills. Recommended visits: near our villa you can see Castello, Puria, Oria, San Mamete, Porlezza, Lugano, Gandria. With your car you can go to visit COMO, BELLAGIO, MENAGGIO, VARENNA, LECCO, LUGANO, BELLINZONA, SAINT MORITZ. Relax & Fun: IDEAL for those who love silence, breathtaking views, nature and ancient villages, and for those who want to combine the noise of the night, entertainment, Casinò and nightclubs, music festivals and youth in the streets. How is this possible? You will stay in Oria, where peace is guaranteed by the position of the villa on Lake Lugano, but you can move to the center with 15-minute drive! Also suggested to visit: bellagio, como, milano, varenna, menaggio, bellinzona, locarno, lugano, saint moritz. the apartment can be connected internally with another apartment and form a single unit. The apartments overlook on two opposite sides of the villa and have independent access from the garden. The other apartment has an entrance directly from the garden, large living room porch with large windows overlooking the lake, sofa bed and a half square, kitchenette with microwave and stove with two plates, bathroom with shower, a double bedroom. Outside portion of the private garden with table and chairs and an umbrella, and the rest of the garden more 'use barbecue shared with other guests and the porch. Peondale gate for direct access to the lake. We stayed in the kitchen garden apartment. Lots of room with great views over the lake, comfortable bed and plenty of tables and chairs to choose from. It was lovely to sit in the garden and enjoy a cup of coffee or have meals at the outside table and chairs. The kitchen was well equipped for cooking. Plenty of hot water for showers and a roomy bathroom. There is a washing machine available for shared use and parking on the street. Anna doesn't speak English but we managed. If you stay here, don't pass up the short downhill walk through the gardens to the charming village of Oria. There is a dock you can swim from there too. We enjoyed our stay and would love to stay again. Beautiful area and wonderful views. The only negative was no internet access. I am always very pleased at seeing my guests and I promise that soon the house will have the internet available. Above the ancient village of Oria,where the italian famous writer Antonio Fogazzaro lived, you'll find an exclusive accomodation. You will discover many villages of Valsolda, like Castello, Puria, Gandria, etc.. You will be able to organize many hicking or nightlife in Lugano! You'll find a lot of restaurants with tipical food on the romantic lakeside. Many summer musical events in Lugano and Porlezza. You can also visit Menaggio, Bellagio and Tremezzo with its banks full of villas and gardens. 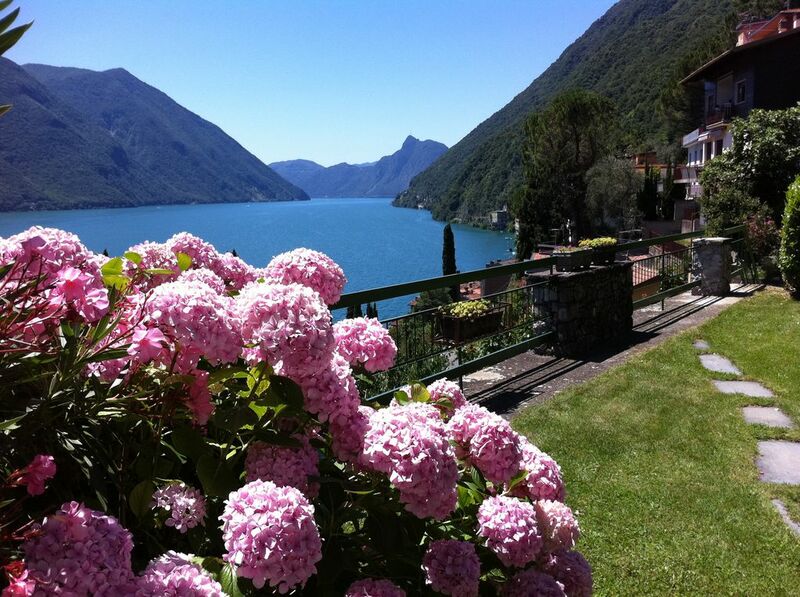 There are a lot of attractions and sports: a swimming pool, tennis, boating and between Lugano and Menaggio Porlezza horse riding and golf: there are 2 golf courses at 10 km from the house (in Lugano). San Bernardino (around 80 km), Saint Moritz reachable in 2 hours by car.